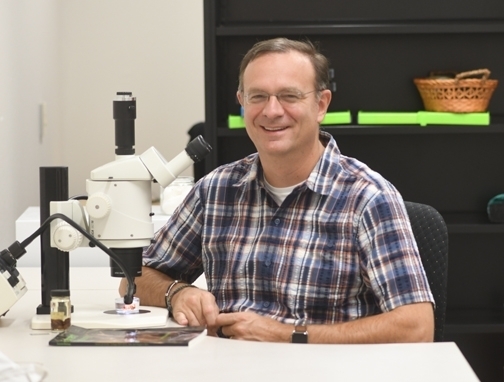 "Urban Entomology" will set the theme for the next open house at the Bohart Museum of Entomology, located in Room 1124 of the Academic Surge Building on Crocker Lane, UC Davis campus, The event is set for 1 to 4 p.m., Sunday, Nov. 18. It's free and family friendly. Scores of displays, and a family arts and crafts activity are planned. The UC Statewide IPM Program (UC IPM) will participate in the open house. 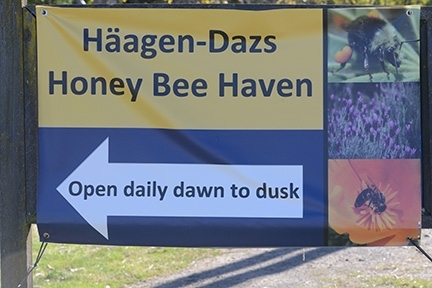 The Häagen-Dazs Honey Bee Haven, a half-acre bee garden operated by the UC Davis Department of Entomology and Nematology, will host an open house, the last one of 2018, from 11 a.m. to 2 p.m. on Saturday, Sept. 22. The garden, planted in the fall of 2009, is located on Bee Biology Road, next to the Harry H. Laidlaw Jr. Honey Bee Research Facility, west of the central campus. Director of the haven is Extension apiculturist Elina L. Niño. "There will also be an exhibit of bee photographs by our volunteer photographer Allan Jones," Casey announced. 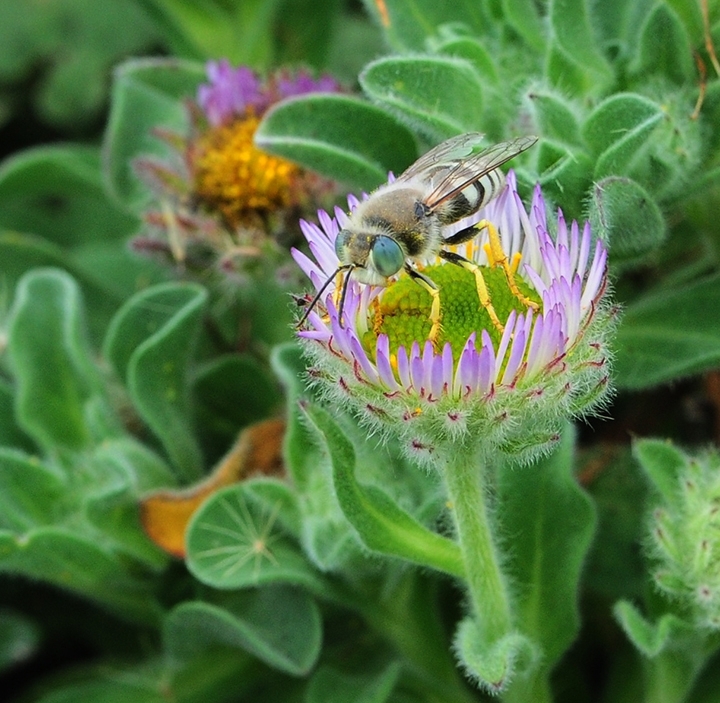 Jones, a Davis resident, frequently photographs bees in the haven and in the UC Davis Arboretum. Visitors can also see recommendations about what to plant for bees this fall, including information from the ongoing research trials. 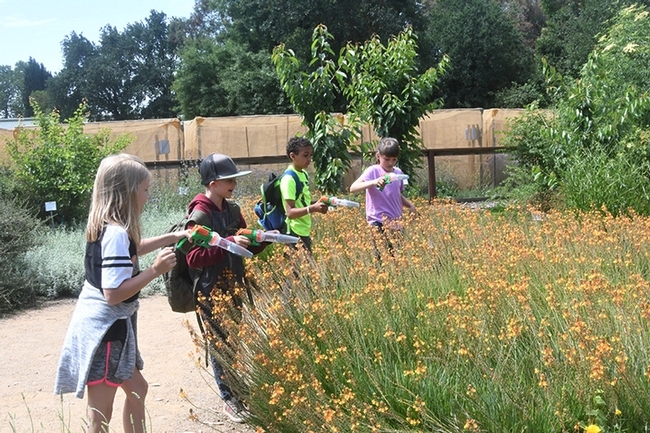 The garden was founded and "came to life" during the term of interim department chair, Professor Lynn Kimsey, director of the Bohart Museum of Entomology, who coordinated the entire project. A Sausalito team--landscape architects Donald Sibbett and Ann F. Baker, interpretative planner Jessica Brainard and exhibit designer Chika Kurotaki--designed the garden as the winners of the international competition. 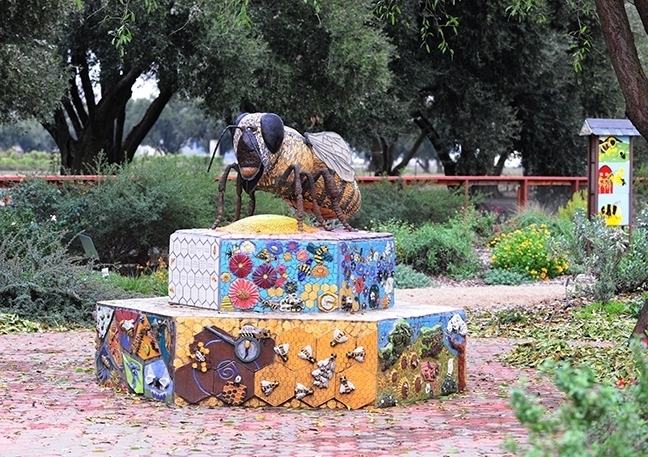 A six-foot long mosaic and ceramic sculpture of a worker bee, the work of self-described "rock artist" Donna Billick, anchors the garden. The UC Davis Art/Science Fusion Program, founded and directed by the duo of entomologist/artist Diane Ullman, professor and former chair of the UC Davis Department of Entomology, and Billick, coordinated the art in the garden through their classes. The garden is open to the public--no admission--from dawn to dusk. 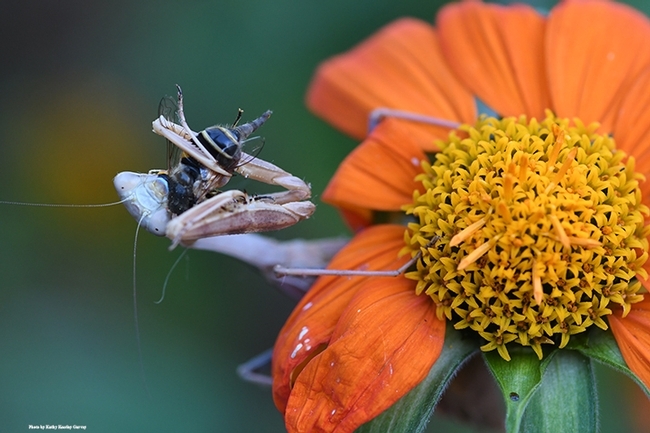 “Crafty Insects,” featuring sneaky or crafty insects and visitors' crafts, will set the theme for the Bohart Museum of Entomology's open house from 1 to 4 p.m., Saturday, Sept. 22 in Room 1124 of the Academic Surge Building on the UC Davis campus. The event is free and family friendly. The UC Davis Bohart Museum of Entomology will emphasize "fire and insects" when it hosts an open house, “Extreme Insects: Fire and Ice,” on Sunday afternoon, Aug. 19. The public event, to take place from 1 to 4 p.m. in Room 1124 of the Academic Surge Building, Crocker Lane, is free and family friendly. “There are a number of species that are specifically attracted by smoke to damaged trees,” said Lynn Kimsey, director of the Bohart Museum and professor of entomology at UC Davis. “Wildland fire fighters hate them because some of the beetles fly at them, crawling into their turnouts and biting them. 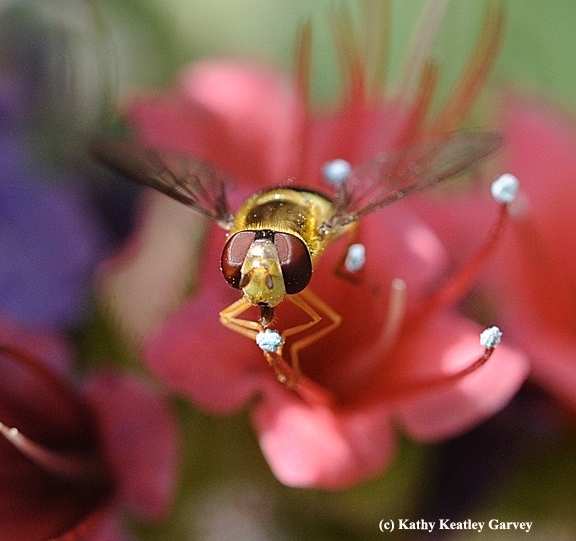 Fire insects include jewel beetles, some horntail wasps and a few others." Salt: the brine flies of Mono Lake. Regarding the beetles that attack the firefighters, these are “The flatheaded borers (Buprestidae) and they will actually nip the firefighters as they land,” said chemical ecologist Steve Seybold with the USDA Forest Service, Pacific Southwest Research Station, Davis, and a lecturer/researcher with the UC Davis Department of Entomology and Nematology. Insects that like ethanol/burned phloem include the red turpentine beetle, the ambrosia beetles, the "sour cambium" beetles, and some of the larger woodborers, Seybold said. “These are the 'undertakers' of the trees, if you will. Certain bark and ambrosia beetles specialize in colonizing burned tissue that gives off ethanol as a sign of fermentation. 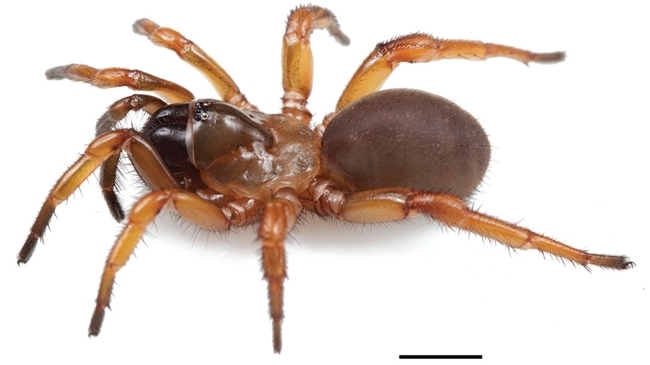 These insects wait until things have cooled off a bit before they bore into the trees." "Often when you visit a burned area," Seybold said, "you'll see piles of white dust coming out of the trees that have blackened bark. This dust is made by ambrosia beetles--and other larger woodborers--that can make use of the carbon that is still present in these moribund trees. Ambrosia beetles 'consume' this carbon indirectly by farming fungi in their galleries. The fungus serves as a conduit for the nutrients in the wood. Some of the larger woodboring insects have other adaptations like specialized enzymes that degrade cellulose or hemicellulose." Seybold called attention to an article titled “Attraction of Melanophila Beetles by Fire and Smoke,” authored by noted beetle expert E. Gorton Linsley (1910-2000) and published in April of 1943 in Scientific Notes, the Journal of Economic Entomology. Linsley, who received his doctorate from UC Berkeley in 1938, wrote that cigarette smokers at the UC Berkeley football games complained of beetles swarming into the stadium and biting their hands and necks. Wildfires continue to rage in California. As of Aug. 13, the 5,255 California wildfires this year have burned 958,812 acres, according to the California Department of Forestry and Fire Protection and the National Interagency Fire Center. To date, the still-active Mendocine Complex fire, the largest wildfire in California history, has charred more than 344,000 acres. The Bohart Museum open house also will include a family craft activity involving extreme insects. 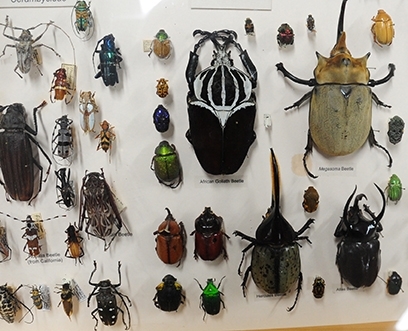 The museum houses a global collection of nearly eight million specimens and is the home of the seventh largest insect collection in North America, and the California Insect Survey, a storehouse of the insect biodiversity. 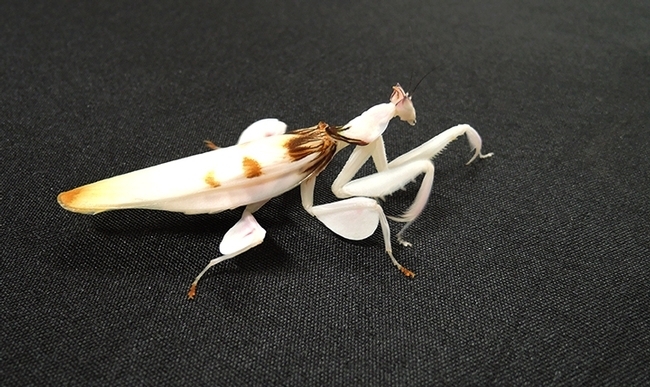 It also houses a live "petting zoo" of Madagasar hissing cockroaches, walking sticks, tarantulas and praying mantids, and a year-around gift shop, stocked with T-shirts, sweatshirts, books, jewelry, posters, insect-collecting equipment and insect-themed candy.